(Newser) – Want to prevent heart disease? 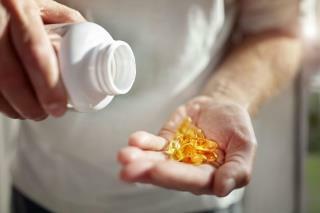 Those fish oil supplements may not be worth the money after all, the BBC reports. A review of roughly 112,000 people across 79 trials found that people using supplements of omega-3—a fat that's prominent fish oils like cod liver oil—experienced little to no benefit over a year or more. Conducted by researchers at the University of East Anglia, the review analyzed people from Asia, Australia, Europe, and North America; most were given omega-3 supplements and compared to those who took a dummy pill, per a press release. In the end, supplement-takers had an 8.8% chance of death compared to 9% in the control group, with little to no difference in heart-health events like stroke, heart irregularities, and coronary heart disease. A year? How about lifetime?